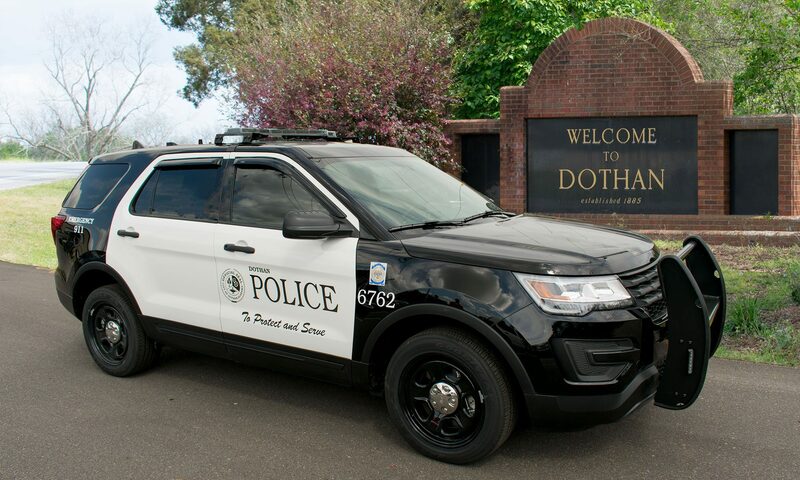 The Dothan Police Department was involved in a vehicle pursuit of a suspected homicide suspect out of North Carolina who arrived in our city on a stolen vehicle. While investigating this information police located the vehicle and attempted to complete a traffic stop however the driver fled. The pursuit traveled around Ross Clark Circle to Montgomery Highway where the suspect turned onto Cherokee Avenue, lost control and crashed into a tree sustaining critical injuries. Police on scene rendered first aid until Medics arrived and transported the driver to a local hospital. No other occupants were in the vehicle nor were any other motorists hurt. Public Safety was our top priority today not only taking this person into custody but also in considering the motorists on the roadway. Police were actively responding to intersections ahead of the pursuit to stop motorists from encountering the oncoming danger. The Dothan Police Department would like to say thank you to all motorists who cooperated with these emergency stops. We would also like to thank Houston County SO for assisting us. As always a special thanks to our officers that disregarded their own safety to ensure the safety of others throughout this incident.